This article will bring us to the end of Callie Melton’s book “Pon my Honor”. I hope you’ve enjoyed them as much as I have. Old man Johnson had a boy named Henery that was a might funny. He was a big raw-boned and slow-footed boy. And to make matters worse, when he got to the age for his voice to change it started and then stopped smack dab in the middle of the process. So Henery always talked two ways. He’d start out in a fine little boy’s voice, then he’d wind up in a big coarse man’s voice. Folks would always have a heap of fun about the way Henery talked. But it was all good-natured fun and not making light, for everbody knowed that it was a sin to make light of anybody’s afflictions. One day his Pappy started Henery out in the sled to gather some nubbins for cow feed. On the way to the field, Henery had to go down this little steep place, and the old mule got scared when the sled bumped his hind legs, so he just up and run away. He run so fast that he run over a big rock and turned the sled over on Henery. Then he broke loose from the sled and just kept right on going. It knocked all the wind out of Henery when the sled turned over on him, but as soon as he could get his breath back, he started hollering for help. He just wore hisself out, so he had to stop to rest. While he was resting he heard somebody coming down the road, so commenced hollering again. “Help! Help!” he yelled in his fine little boy’s voice, and then “Get me out! Get me out!” in his big coarse man’s voice. And with that the man went on down the road, leaving Henery hollering his head off. The mountain is replete with stories of haints and ghosts. Despite very deep Christian faith we tend to be a superstitious people. Now this is something I don’t want to perpetuate so you won’t usually find ghost stories among my Tennessee Mountain Stories. However, Callie Melton has included several in “Pon My Honor” and I want to share this particular one because of the history I found behind it. Here you can read a series of old newspaper clippings that detail the crime and trial of young Logston. The difficult execution is also detailed as well as nearly 2,000 witnesses. That would be a crowd in Jamestown today, can you even imagine all those people gathering in 1872 when they had to walk or ride a horse? This story is the one that Grandpa Smith always told us about the time that Wolf River got so high just after the Logston hanging. This flood has always been called the Logston Tide. Whether there was any connection between the two, or it was a mere coincidence, I leave entirely up to you. But this flood did occur in April of 1872, a few days after Calvin Logston was hung at Jimtown in Fentress Country. Way back yonder when Grandpa and Grandma Smith were first married, they moved down on Wolf River. They hadn’t been living there long until Grandma’s mother, Caroline Parsons, and her grandmother Elizabeth Young, had come to live with them. Grandma’s pa was dead and her brothers were all married, so it just seemed fitten that the two old women should come and live with them. Now about this time this here man named Logston was accused of killing two women and a child over around Forbus, in what is now Fentress County, not too far from Jimtown. He finally got caught over in Kaintuck and was brought back to Tennessee to stand trial. Grandpa didn’t recollect much about the trials, but he did know that the man had fit his case in all the courts and had lost ever time. So the day set for the hanging had finally come around. He’d clean light forgot the date, too, but he did know that it was early in the spring. On the day set for the hanging, Grandpa said that he’d got up and left home bright and early that morning for it was a good little piece over to Jimtown where the hanging was to be. Now since this was the first legal hanging ever to be helt in Fentress County, and because of the crime that the man had committed, a might log of excitement had been stirred up. When he got to Jimtown it seemed like everbody in the whole country had come and fetched his dog. For never before or since in his life had Grandpa seen such crowd at one place. Before the hanging there was a long funeral sermon with all the folks crying and taking on, and the prisoner having to set there on his box with his hands tied hind him. Then after the sermon all his friends had come up to tell the condemned man good-by. Everbody sure was mighty worked up by the time they was ready to hang him. Now when they went to hang him, the first time the trap was sprung the rope broke right off. Then another rope was fixed, and it, too, broke just like the first one had done when the trap was sprung. While they was fixing the rope for the third try, Logston spoke a few words. He said that they was hanging an innocent man and that all this proved it. He also said that if they went ahead and hung him that God would give them a sign that he was telling them the truth, for after he was dead it would come the biggest rain ever seen in them parts. All this talk of his made no difference to the Law, for when the third rope was fixed they hung him again. The rope didn’t break this time. And when the doctor said he was dead, they cut him down and put him in his box. Then everbody went home. It was about dark when Grandpa got home that night. He had to hurry to get his night-work done up. Grandma had already milked, so he went to feed his hogs. He had fixed him up a rail pen on the other side of the river from his house, so he walked across to the hog pen on the rocks down at the crossing place just below the house like he had always done. The family hadn’t much more than got done eating supper, till it begin to rain. And that was the hardest rain Grandpa said that he’d ever seen or heard in all his life. There wasn’t much thunder or lightning, it was just rain. It looked like the sky had opened up, and the rain was coming down by bucketsful. It rained like that all night, too. It rained so hard that by daylight the next morning Wolf River was already climbing out of her banks. And by the time that Granma had got breakfast ready and they had all eat, the water was might nigh up to the house. The womenfolks got scared when they saw this, and to tell the truth, Grandpa said he wasn’t feeling any too good hisself. “I recollected only too well what the condemned man had said a-fore they hung him the last time. He did say that God would send a flood to prove that he was a-tellin’ the truth when he said he hadn’t done hit. And now hit shore looked like hit,” he said. So they started putting things up high on the rafters. They worked as fast as they could, but by the time they was all ready to leave the water was lapping at the doorstep. Now being that Grandmother Young was the oldest, Grandpa carried her out first. When he stepped off the doorstep with her, the water hit him up around the ankles. 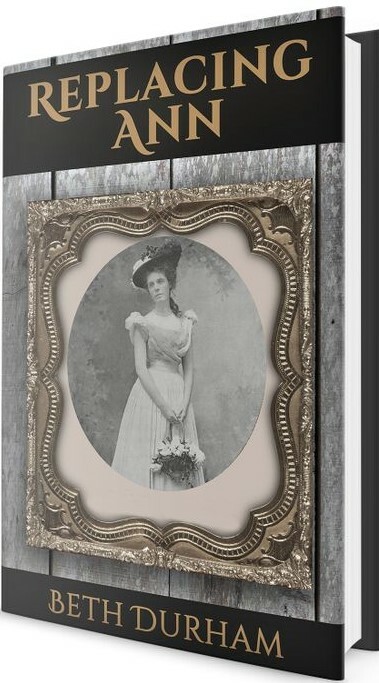 He carried her up the hill a short piece and set her down, then hurried back to get Grandmother Parsons. By the time he got back and got her out the door, the water was might night up to his hips. He took her up to high ground and set her down with her mother, then he went back for Grandma. By the time he got Grandma Smith out, the water was up to his waist. It had come in the house and was still rising. When he’d got them all out, they stayed and watched the river for awhile. Then they all went over to a neighbor’s house who lived further away from the river. Well, the river did get higher than it ever had before. It washed away a lot of houses and a lot of stock was lost. Only a few people got drownded, though, for most of them had took off to high ground when it begin to rain. They all recollected what Logston had said at his hanging. In a few days the water begin to go down, but it was nigh on to a week before Grandpa and his family could go back home. It had done a sight of damage, and that summer it was so dry that not much crops was raised. Now Grandpa lived on Wolf River for years and years after that, and he lived in these parts until his death in 1944. “And ‘pon my honor, never has that river been as big a-fore or since,” so many times I’ve heard the old man say. Youg’uns may learn a lot more things at school now than they used to, but I’ll guarantee they don’ have half as much fun. Why, we all laugh fit to kill ever time we think about one day when we played meetin’ at Windle. Now the Methodists always held their protracted meetin’ at Shiloh just about the time that school started at Windle, so we’d always play meetin’ ever recess time all fall. There’d always be somebody good at preaching, another at leading the singing, and somebody else’d do the praying. Miss Minerva was teaching there the year that just about ended our meetin’s. It was one day at dinner recess, when we’d all grabbed a piece of cold bread and meat in one hand and a baked sweet tater in the othern, and took off across the big gully to the patch of woods where we played. There was a big flat stump on the hillside that the preacher stood on, while the rest of us’d set on the ground in front of him. We’d been to Shiloh that morning to preaching, so everbody was all tuned up for a good’un. Earl was doing the preaching that day, and his text was on whatever it was that he’d heard that morning. He preached real good, and if you hadn’t known that it was just a bunch of young’uns playing, you’d have swore that it was a meetin’ going on over there in the woods. No telling how long all this would have gone on, but the bell for books broke it up and everbody took off for the schoolhouse. Not long after dinner a quick cloud come up, the wind begin to [b]low, and great deep peals of thunder shook the house. The young’uns all got scared, and some of the littlest’uns begin to cry. Just as the downpour of rain come, Miss Minerva started the whole passel of us across the footlog to the nearest neighbor’s house. It looked like the sky had just opened up and was letting it all come down at once, but Miss Minerva stood there at the footlog and watched all the young’uns safely across. Then, as she started over she remembered her Divine Book that was so precious to her, so back to the schoolhouse she run to get it. When she finally got back to the footlog, the water was rolling down the gully like a tide, and it had just about covered the log. But she dashed out on it anyway. Then about middle-ways across she lost her footing and fell in. Some of the big boys were watching and saw her, so they run out and managed to catch her down-stream and pull her out. But her Divine Book was washed away, and she was might night drownded. It’s been 2 years since I released the novella Replacing Ann and you were all so kind in reading it and reviewing it on Amazon.com. And then you asked for more! Well it may have taken a little longer than many of us hoped but here you go… I am thrilled to announce the release of Plans for Emma. Everyone has plans for Emma England but she knows she must follow God’s plan for her life. She meets Preston Langford by chance at the creekside near her family home. They are immediately drawn to each other; in fact, Preston knows the first day that this is the woman God would have him marry. Now he needs only to convince her father. Honest and hard working, Preston is penniless, has little formal education and is currently out of the practice of attending church regularly. He is nothing TomEngland wants in a son-in-law. 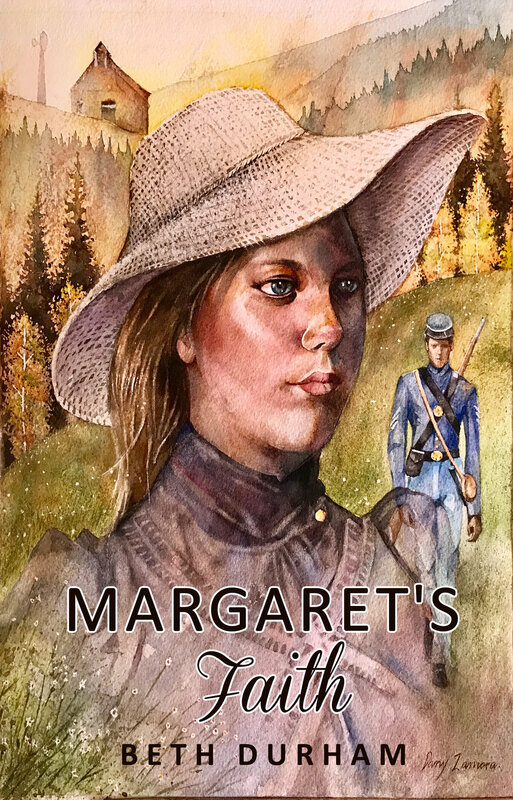 Emma is drawn to Preston from the beginning but knows she must honor her father and mother. Which should she honor first - her father’s direction or God’s calling? Would God truly call her to rebel against her godly parents? 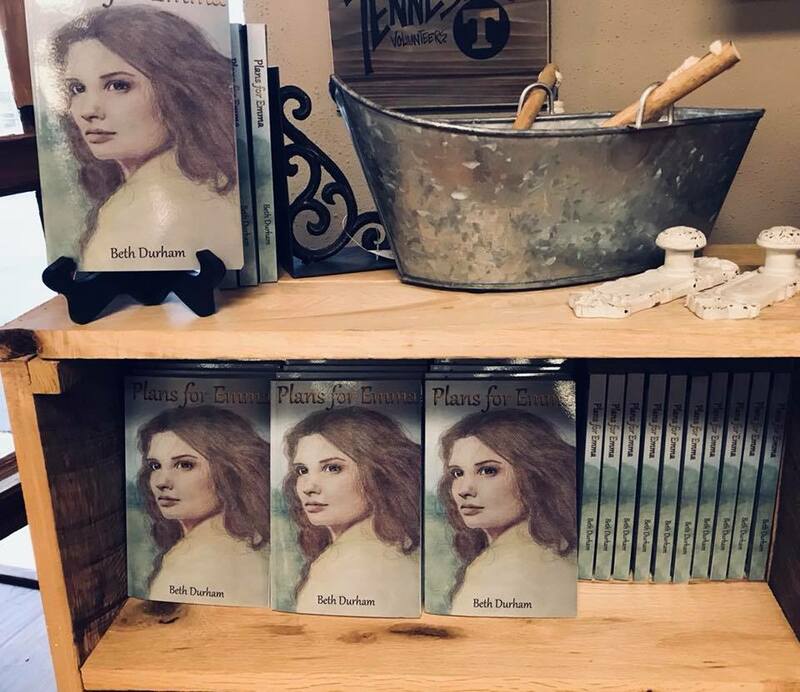 Printed copies of the book are available at Hall Family Pharmacy in both Jamestown and Clarkrange, TN. I'll be there signing books next Thursday at noon and would love to see you. If you aren't in the area and want to order a copy, you can go get one straight from the publisher here. You can also order a copy from Amazon.com where you can get either a paperback or an eBook. 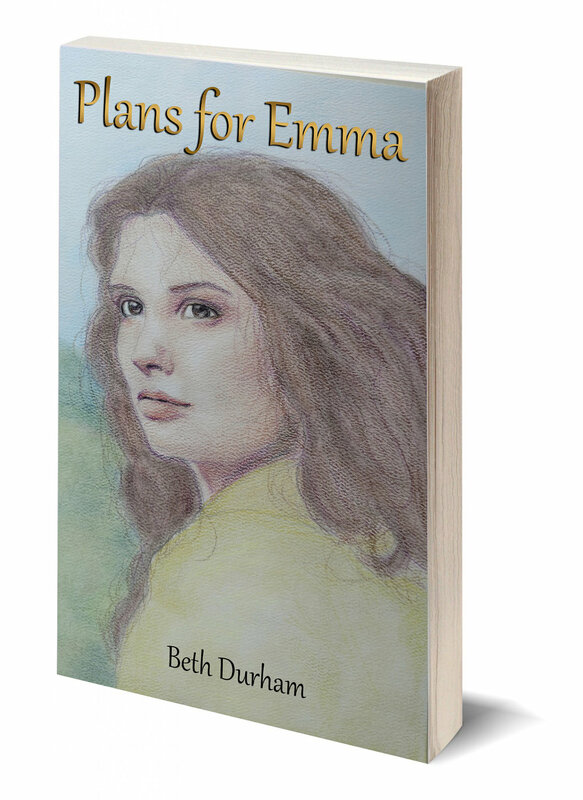 After you’ve read the book, please consider writing a review on Amazon as this will help other people discover Plans for Emma. Over the next few weeks I’ll share more about the who, when and where of the story and characters.